Kansas is a leading agricultural state and well known as “The Wheat State” in America, since it has large acreages of land in wheat and typically produces the largest amount of wheat in the United States. The amount of wheat grown in Kansas has a big influence on the price of wheat in America and around the world. To better promote the cooperation in agriculture between America and China, as a representative of the K-State Confucius Institute, I participated in the 2016 Wheat Quality Council Hard Red Winter Wheat Tour as an independent observer. According to what I had practiced, learned, heard and seen, I came to know how America works to improve the quality and quantity of its wheat industry to some extent, so I’ve summarized my experience and reflections about the tour. The tour, this year May 2-5, was organized by the Wheat Quality Council to estimate this year’s Kansas wheat crop yield. The result of the evaluation influences the price of futures markets in Chicago and Kansas City. China’s market also paid attention to the results. China Grain and China Futures forwarded the tour results on their website the second day after the tour ended. The quality and quantity of the wheat is important to related industries, such as elevators, banking, milling, baking, agrichemicals, food inspection, marketing and retail. A significant characteristic of American agriculture is the close cooperation between agribusiness industries to improve the wheat quality. This was the 59th annual wheat tour, coordinated by the Wheat Quality Council and Kansas Wheat. The U.S. Department of Agriculture and National Agricultural Statistics Service provided help on technical and data support. Although many of the participants were first-timers, tour results of yield evaluation were similar to the professional evaluation made by USDA. Historical results indicate that the evaluation of yield by WQC each year had no significant difference from the evaluation that USDA issued one week later, both of the results were alternately closer to the actual yield of wheat pronounced by USDA. While evaluating the yield, the wheat growers meet and exchange ideas and discover diseases of the crops. 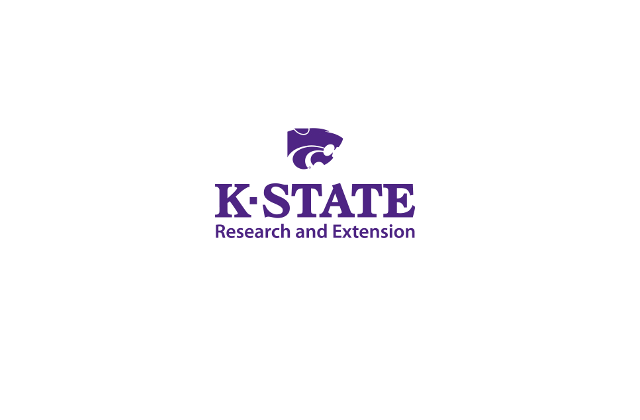 Professors and researchers provide technical guidance to farmers and suppliers and buyers set up connections. Just like a journalist of “Kansas Farmer” wrote in her article: The Wheat Tour is not just about wheat; it’s about people too. Years of experience shows that the tour is an effective, easy-to-operate and fun way of measurement to improve the quality and quantity of wheat in America. Eighty-two people from more than 50 businesses and organizations involving 12 industries participated in this year’s tour. They came voluntarily. During the tour, they contributed to the yield evaluation, provided help to farmers, shared information of their industries and set up networks for themselves. The related industries include: farmers; grain elevators; bankers and cooperatives; millers (eight milling enterprises were represented this year); bakeries; equipment enterprises; marketing enterprises (domestic and international wheat trading companies including BTG Pactual Commodities from Geneva and Emerald Grain from Australia); farm support services, such as Servi-Tech Inc. and Monsanto); government; wheat-related associations like Kansas Farm Bureau, Kansas Wheat and Kansas Association of Wheat Growers; university (professors, extension agents); and media, such as Kansas Farmer and High Plains Journal. Information from the tour was released continuously through different approaches. Three days on the tour was such a wonderful experience for me and I learned a lot. Firsthand data and information is highly emphasized by the U.S. wheat industry and is the foundation of any decision made by businesses and organizations. The wheat tour was a good way to attain timely firsthand information about the wheat industry for related businesses and organizations. Cross-sectoral cooperation leads to success for U.S. industries. As a saying goes, cooperation is better than going it alone. People from wheat-related industries gather together (for the last 59 years) for the same and simple purpose: evaluate the yield. But at the same time they also share all kinds of information, brainstorm new ideas, bring wheat farming and marketing knowledge, meet new people and set up connections. It is an easy and fun way to integrate complementary resources to work together to improve the wheat industry. “Agribusiness” is an amazing concept more prevalent in the U.S. than “agriculture” alone. Agribusiness is the industries engaged in the producing operations of a farm, the manufacture and distribution of farm equipment and supplies, and the processing, storage, and distribution of farm commodities. Under this concept, the whole value chain of industries and people are integrated around the farm and its products. Rather than farmers rowing the boat by themselves, people in the U.S. work together and help each other naturally. It is quite different from the situation in China. Agribusiness is also a relatively big business in Kansas. Three of the four finalists of the Governor’s Exporter of the Year 2016 in Kansas are related to agribusiness. I really appreciate the spirit and tradition of cooperation among American people. They work to gain personal profit through helping each other. This characteristic makes the wheat tour easy to be part of. Many of the tour members were new this year, but eager to learn and serious at every step during the process of evaluating yield, which guaranteed the trip a considerably accurate result similar to those made by professionals in the USDA. The participants were usually open, easy-going, and willing to exchange ideas. Open the wheat tour to more Chinese companies to get more chances to sell agriculture products to China. According to the Kansas Department of Agriculture, China is the third export destination country of Kansas agricultural production. After 59 years, the wheat tour is well known by people around the world in agribusiness industries. There are more and more international business people participating in the tour. Such tours and programs help nurture business relationships and help prospective buyers understand the process and trust the quality of U. S. agricultural products. It will be easier to set up good relationships with Chinese buyers than only selling them products through commodity shows. Agricultural education classes for Chinese farmers and ranchers are another big opportunity. Chinese government is encouraging large-scale farming in China in recent years. Each provincial government has developed policies to encourage farmers to carry out large-scale operations. But they need more knowledge and experience. Maybe they also need big efficient automated agricultural machinery. There are also thousands of new cooperatives in China, but they need more experience to run them better. So there opportunities for U.S. associations, machinery and other agribusiness companies to develop the market of agribusiness education. Taking advantage of bridging agents, like the K-State Confucius Institute, can help develop agribusiness trade between the U.S. and China. China is a big market and the second quickest growing economic entity in the world. China also has a strong willingness to cooperate with America. It set up lots of Confucius Institutes to be the bridges between the two countries. So please take good advantage of those non-profit agents if you’d like to develop a relationship with related Chinese institutes. – Shijun Yan is the associate director of the Confucius Institute at Kansas State University. Hanban, affiliated with the Chinese Ministry of Education, has set up more than 500 Confucius Institutes in 120 countries and regions in the world to promote, enhance and elevate understanding of the Chinese language and culture as well as create exchanges between Chinese and U.S. academic institutions and communities. The Confucius Institute at K-State also promotes animal health, food safety and agro-security. The K-State institute is the 102nd Confucius Institute in the U.S.